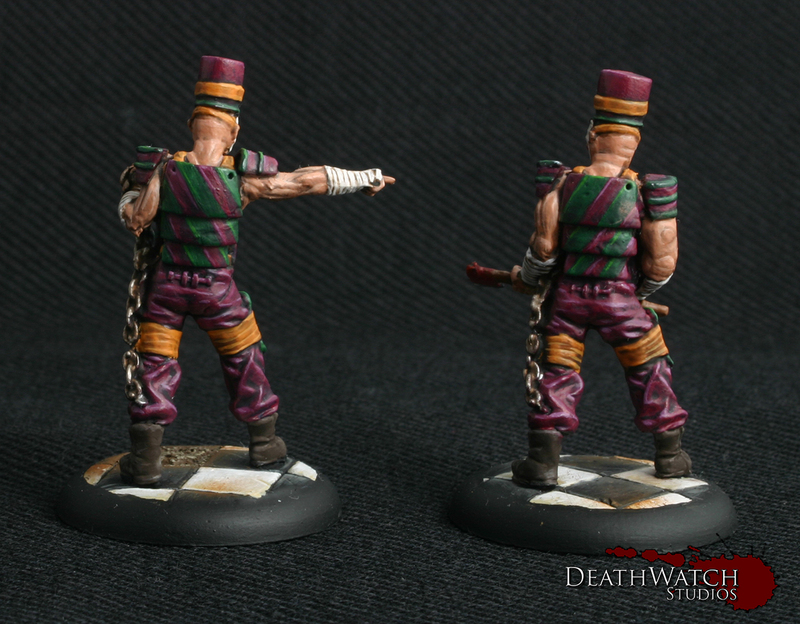 I have to admit, this crew was a lot more fun to paint than a lot of the Batman forces I have done before it, and I will be a little bit sad to see them head off to their owner :-P. The reason they were so much fun was primarily because there was a lot more freedom involved in what colours to use, where they were applied, and the bases turned out to be something quite different from what I have done before. Also worth a mention is how great the models are, whilst largely a pain to put together(large gaps, excessive mold lines etc) the character imbued into each mini is superb and you really do feel that each one is an individual. As you’ll be aware from my previous posts the main job to get this commission complete was to finish off the Circus Clowns, the Joker and a few wee bits on Harley Quinn. 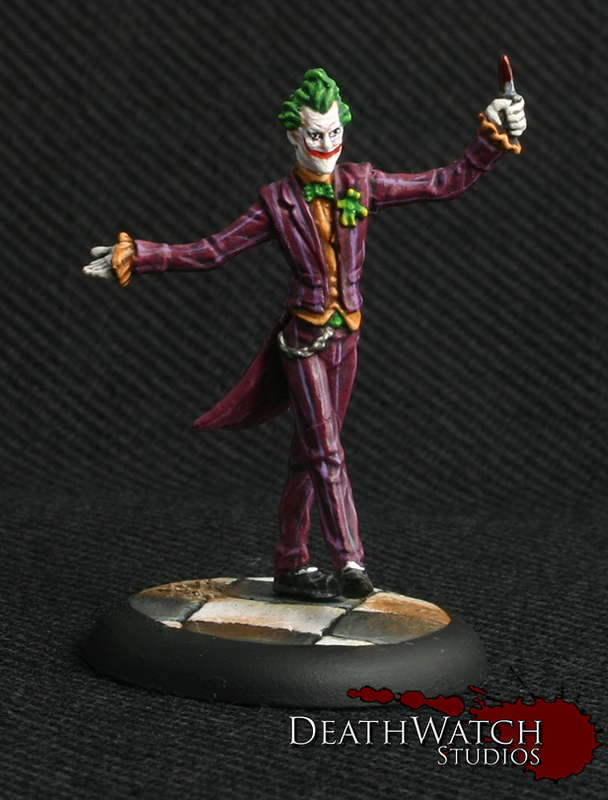 So let’s start of by taking a look at the Clown Prince of Crime himself…. I found the face difficult on this one, constantly having to go back and adjust it a tiny wee bit at a time so as to get the look of the character just right. I think it ended up looking pretty good, even if I do say so myself. I also had a happy accident with this figure. 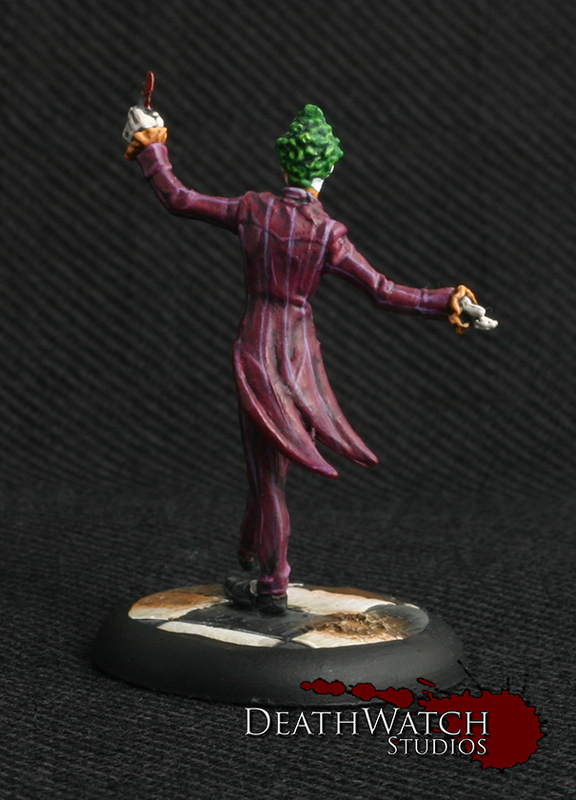 Whilst constructing it ended up with one foot being slightly bent forward, meaning when the other was put flat on the base the other was outstretched in front, giving the look of the Joker almost sauntering forward dramatically. 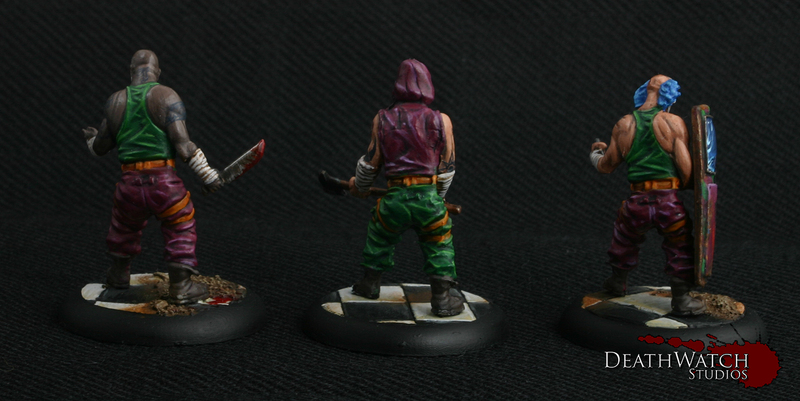 It was fairly simple to get these guys finished off, from were I left them last time, just a few details here in there. 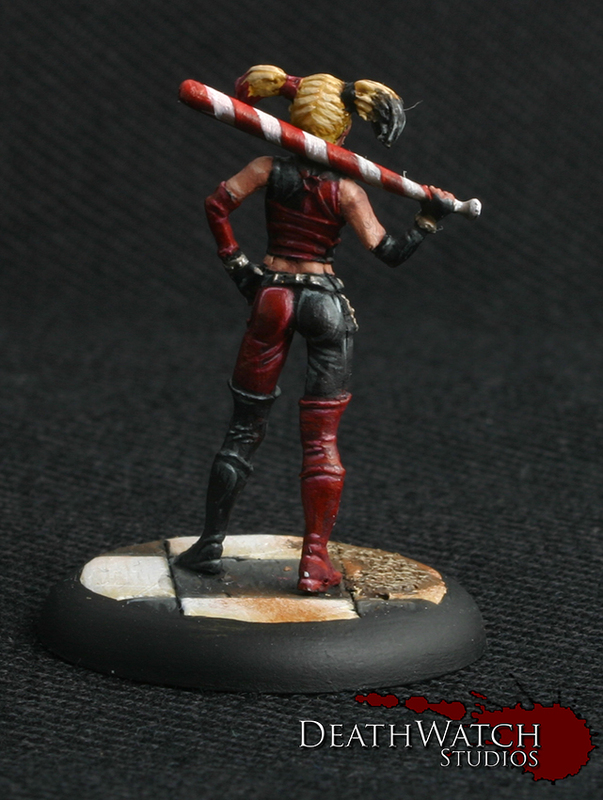 Another cracker of a model, whilst it does have some rather small joining points for construction, the details are superb and it captures the Arkham City version of Harley Quinn perfectly. 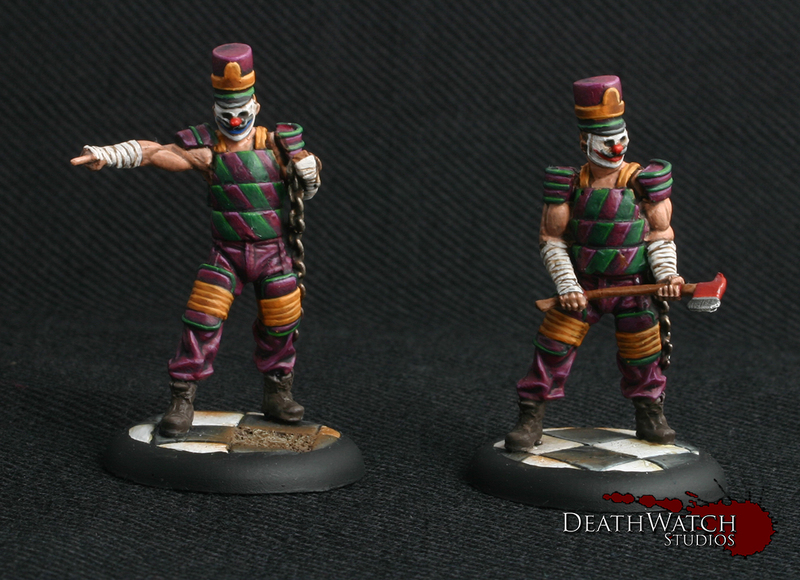 ← Knight Models – Joker Crew Commission Continues! Holy cats dude. 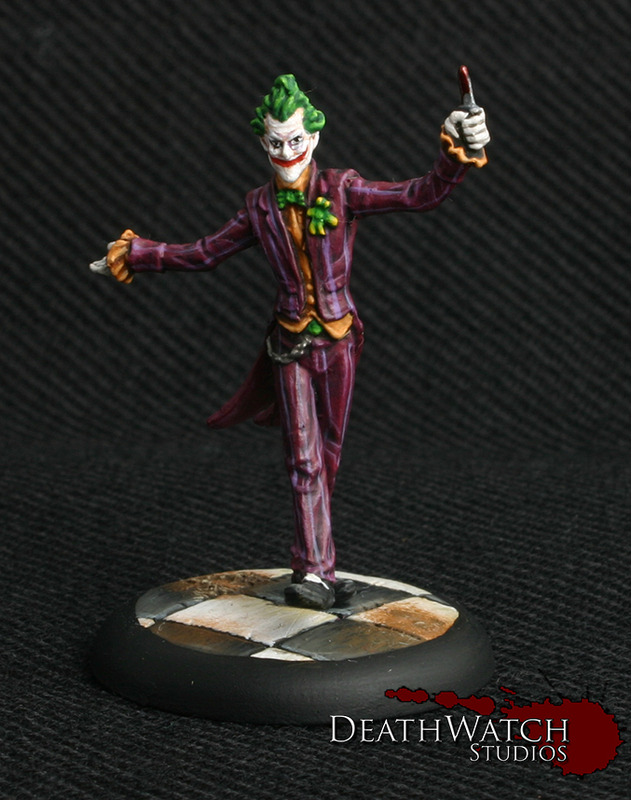 Mistah J and HQ turned out *perfectly*. Sure, I’ve seen smoother blending and whatnot, but these figures came alive for you. They’re really like little, terrifying, people.